By Pamela Doan on May 25, 2018 Comments Off on It’s 2050. Can Farmers Still Feed Us? Even if crops are flooded out, frozen in a late frost, fried in a heat wave, eaten by the spotted lanternfly, crushed by hail, blown away in a hurricane or succumb to a blight or other disease as a result of climate change, New York’s wine industry (third in size only to California’s and Washington’s) should be able to produce European grapes for cabernet sauvignon, merlot, zinfandel — all the varieties that have trouble now because they need longer growing seasons and milder winter temperatures. Global warming will be bringing both to the state. 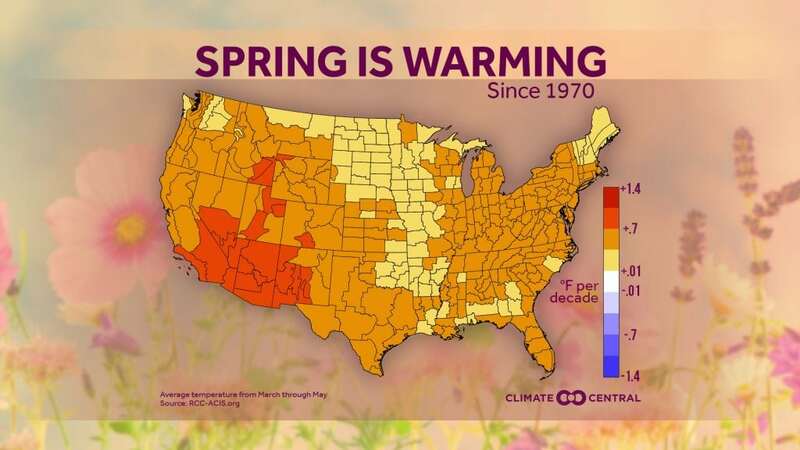 Projections show that average temperatures in the Northeast will be much warmer by midcentury, and precipitation will increase in both amount and intensity. Those conditions will make the length of the growing season even more critical and test the resourcefulness and adaptability of farmers. David Wolfe at Cornell University and his colleague Allison Chatrchyan, director of the university’s Institute for Climate Smart Solutions, are deeply involved in the questions about what we need to protect our capacity to grow food. Attitudes among farmers are changing. “Five years ago, farmers didn’t want to talk about climate change,” says Chatrchyan. Surveys done by various researchers earlier in this decade back that up, finding most farmers to be skeptical that the climate is changing, and attributing unpredictable weather to … well, unpredictable weather. But Chatrchyan says she is encouraged by a surge in traffic in the past year to the institute’s online tools that provide long-term projections. Using Climate Smart Farming, a farmer can see the local drought outlook, use a soil water-deficit calculator and find predictions for plant development. 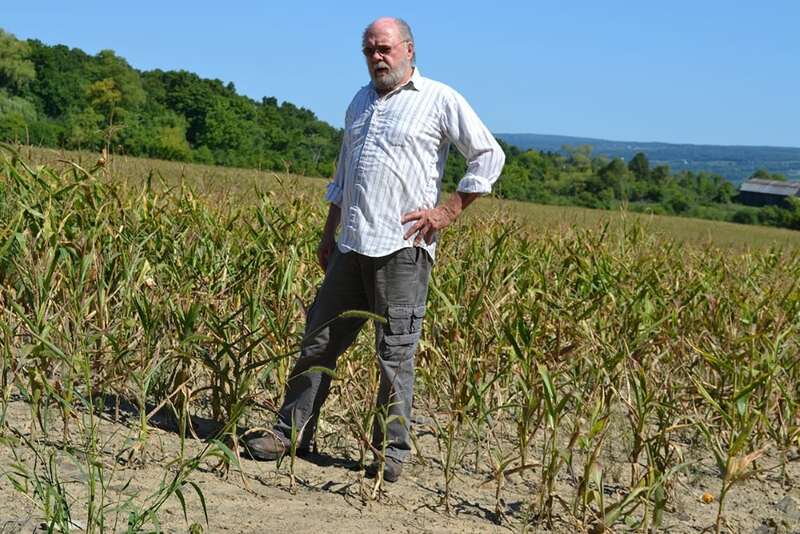 Wolfe, who has been teaching at Cornell since 1984, began looking more closely at global warming and its effects on agriculture in 1990. Scientists were reporting that CO2 was increasing rapidly in the atmosphere, and as a plant physiologist, he knew that would affect plants. At the time, he recalls, he hoped his research would help some future generation of farmers. Ideally every farmer is assessing what they need now, says Chatrchyan. The challenge is figuring out what to do, given the uncertainty and complexity of climate change. Do you change crops now? Do you purchase expensive equipment based on what could happen? It’s never good for crops when the weather is breaking records, and especially not when it happens every year. The last two seasons provide a case study. In the winter of 2015-16, lower-than-usual snowfall was followed by low precipitation and stream flows during the growing season of 2016, both important sources for groundwater and irrigation systems. It was the worst drought most farmers had ever experienced, and the hottest temperatures. Farmers who rely on rainfall to water their crops reported losing as much as 90 percent of their yields. Even farmers who irrigated lost 30 percent. In 2017, heavy rainfall flooded the fields. This not only damaged crops but shortened the growing season because the ground was too wet to plant on schedule. This was a problem for more than 95 percent of farmers surveyed across the state and 80 percent said they lost money. This may soon not be unusual. According to the U.S. National Climate Assessment, since the 1950s the Northeast has had a 71 percent increase in “extreme precipitation events,” defined as more than 2 inches of rain falling in a 24-hour period. Heavy rains wash away soil and damage crops that are left standing in pools of water. Roots rot. The stakes are enormous. New York is among the top five producers in the nation of apples, grapes, tart cherries, pears, cabbage, sweet corn, snap beans, pumpkins and onions. It’s also a critical provider of dairy products, which account for half the annual agricultural sales in the state. Wolfe says that unless decisions are made now about land conservation in New York, he foresees the potential for larger agriculture firms to relocate to the state and buy up parcels as other parts of the country become too difficult to farm. In discussions about climate change, the word resiliency comes up. Laura Lengnick, a soil scientist and farmer based in North Carolina who is working in the Hudson Valley with Scenic Hudson, developed a model for how it applies to farming. In her book Resilient Agriculture: Cultivating Food Systems for a Changing Climate, Lengnick explains the approach that farmers must take when addressing climate change is to “bounce forward.” Other models of farming are based on stable climate conditions. Resilient agriculture assumes conditions are dynamic. For example, when faced with more frequent droughts, farmers can do what they have always done and install irrigation and improve soil quality. Lengnick considers these short-term solutions. A resilient action questions what crops grow best in drought conditions and makes the switch to drought-resistant perennials. 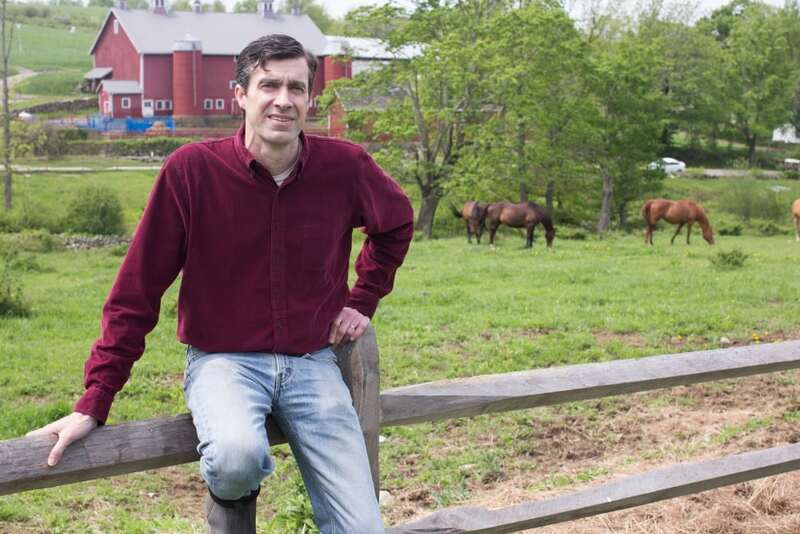 Dave Llewellyn oversees management of the 225-acre, nonprofit Glynwood Farm on Route 301 in Philipstown, plus another 300 acres in New Paltz. Its land includes vegetable and fruit fields, livestock pastures, forest and grassland. Llewellyn says his plan for Glynwood is to move beyond organic and sustainable practices, which are about maintaining what we have now, to “regenerative agriculture” that improves the land during production and makes it more likely to withstand extremes. Water is a crucial part of the process. Llewellyn has adapted a practice developed in Australia called “keyline design” that moves water across the landscape to drier points by opening channels that don’t break up the soil. The process captures more rainfall and there’s less soil lost to erosion. 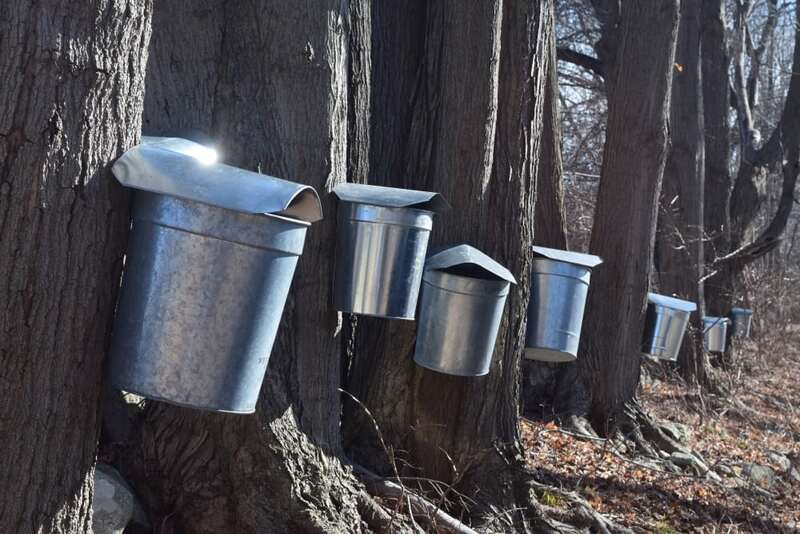 The other aspects of Llewellyn’s water strategy are building soil that can hold more rainwater and planting trees and shrubs whose roots slow runoff. This is important as more rain arrives in heavy downpours. Llewellyn says many farmers are using more non-food crops in fields after the harvest thanks to the U.S. Department of Agriculture’s educational efforts on soil health and climate change. Called “cover crops,” winter wheat, rye, and red clover take nitrogen from the air and hold it in their roots where other plants can use it. Long a practice of organic farming, it’s now being used more widely by farmers who relied on chemical fertilizers. “Chemical inputs can harm the microbiology of soil and you have to use increasing amounts to get the same result,” Llewellyn said. 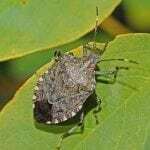 Temperature, more than any other factor, drives the spread of the notorious Brown Marmorated Stink Bug (Halyomorpha halys), which will eat anything but is partial to apples and peaches. First spotted in New York state in 2008, the bug is following warming temperatures north and may someday have two breeding seasons annually here, as it does in Virginia and North Carolina. At the same time, heat stress could kill them off in the Southeast. Organic food is typically more expensive than conventional produce because it doesn’t use shortcuts that have a long-term impact on the soil and contribute to global warming. “Climate change is going to force farmers into better practices and it may slowly be reflected in prices,” he says. 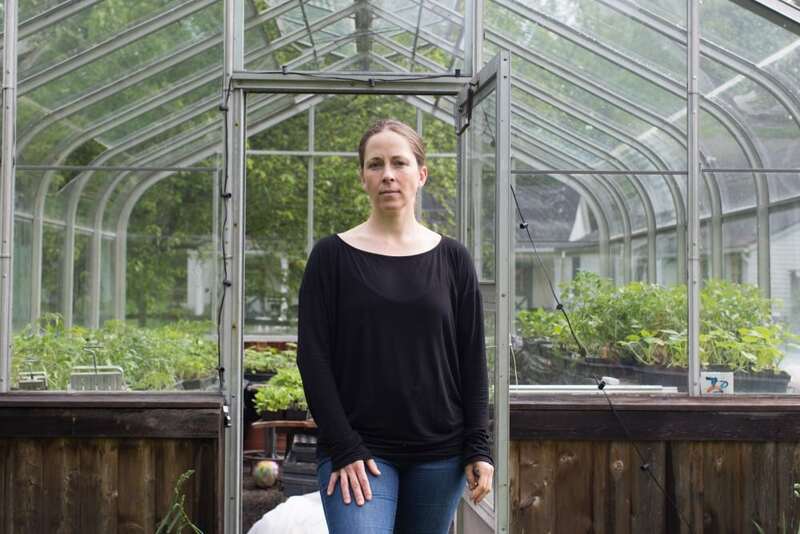 Jocelyn Apicello, and her husband, Jason Angell, farm organically and raise chickens, turkeys and pigs on 4 acres at Longhaul Farm in Garrison. After Apicello and Angell were married, they moved to Argentina to live on a farm in rural Patagonia. It was a turning point. 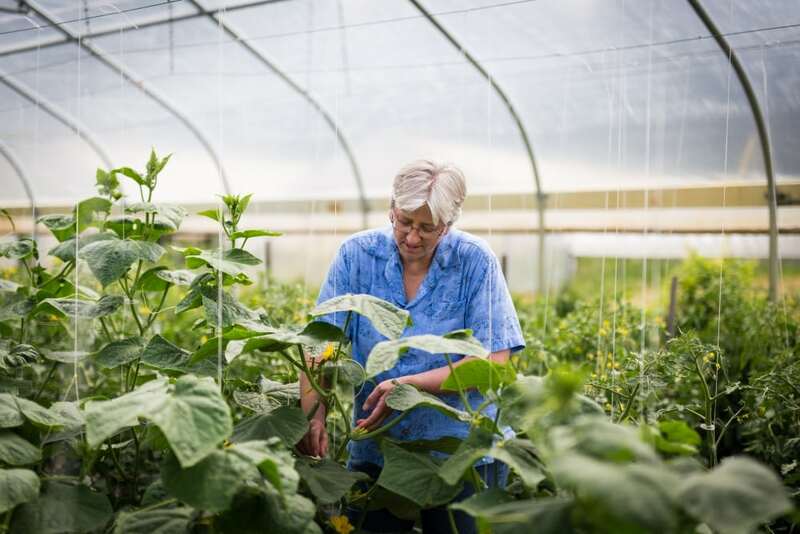 “I saw the far-reaching impact that farming can have not only on human health but on environmental health,” she says. “You can feed an individual, feed a community and address climate change” at the same time. When they returned to the Hudson Valley a year later, the couple were ready to live more simply, she says. Like many small farmers, they both have other jobs. 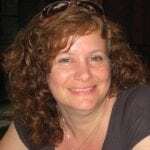 Apicello is a professor of public health at William Paterson University in Wayne, New Jersey, and an urban farming adviser and teacher for the Bard Prison Initiative. Angell teaches at Bronx Community College. Apicello says the scale of their farm has shielded them so far from the challenges facing farmers with hundreds of acres. They can water by hand, for instance, and don’t have to invest in irrigation systems. Since they don’t use tractors or harvesters, they are more agile in working the field and can drain it more easily after a heavy rainfall. She says she hasn’t noticed a change in yields but attributes that to their size. Because the farm is small, they also are more likely to quickly spot pests, and they can experiment with crops with far less financial risk. Since winters have been milder and the summer and fall seasons longer, Apicello has experimented with row covers in her family’s garden to take advantage of warmer temperatures. But she’s noticed that invaders such as chickweed thrive in that environment, too. THE DIRT ON CARBON FARMING — The soil stores carbon, although because of practices such as tilling, it’s estimated cultivated soils have lost up to 70 percent of their original stock, which becomes CO2 when exposed to air. Studies have found that practices such as planting “cover crops” to reduce soil erosion, less tilling and applying compost can move carbon from the atmosphere into the soil. 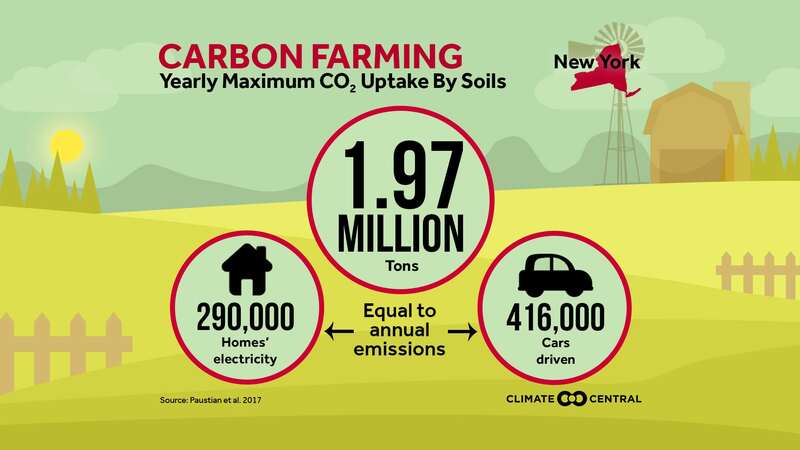 This graphic, created by Climate Central, estimates the amount of CO2 that could be stored in New York if these practices were widespread. Apicello shared a 15-minute documentary, Life in Syntropy, about a farmer and researcher in Brazil who studied the cycles of the rainforest and developed a way to grow food there without ripping out the vegetation. It’s called agroecology. Before he could talk about climate change, Mark Doyle, who manages Fishkill Farms, has to redirect an insurance adjuster who has arrived to survey damage from the May 14 storm that tore through the Highlands. The “macroburst” destroyed 10 years of work in a few minutes, ripping 3,000 apple and cherry trees out of the ground and bringing hail large enough to damage the berry and vegetable crops. Doyle, the farm’s manager, is a South African with a degree in agriculture business management. He’s been farming since his teens and working on farms in the Hudson Valley since 1989. He and Josh Morgenthau, who is the third generation of his family to run the farm, began working together in 2008. Doyle describes their strategy as diversification and connecting with customers. The diversification is apparent in the 270-acre farm’s operations. It sells produce at farmers’ markets; offers CSAs for 41 weeks of the year locally and in Brooklyn; raises chickens and sells eggs; lets customers pick their own fruit, vegetables and flowers; and operates a year-round farm store. In 2016, it launched Treasury Cider, a line of hard cider made from its apples. The storm damage last week wasn’t Doyle’s first experience with losses. In 2016, the fruit trees bloomed four weeks early and were then hit with a hard frost, wiping out the peaches, apricots, nectarines and plums, as well as 40 percent of the apples. They saved as much as they did by using helicopters to hover over the orchards, an expensive tactic that inverted colder air near the ground with warmer air above. 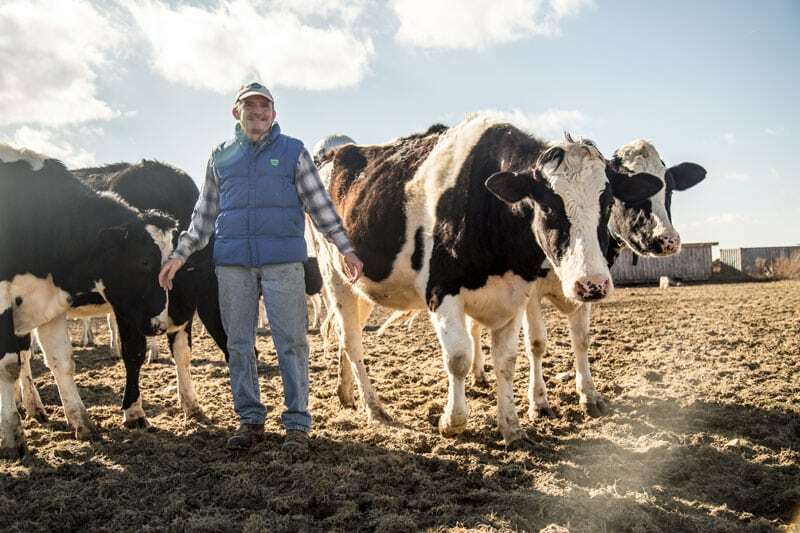 Dairy farmers such as Jim Davenport need to keep both plants and animals thriving. He has to grow enough corn to feed his cows through the winter, and he has to be able to keep them cool during the increasingly hot summers. With his wife, Karen, Davenport manages a herd of 65 milking cows and 70 younger cows at the 140-acre Tollgate Farm in Ancramdale. 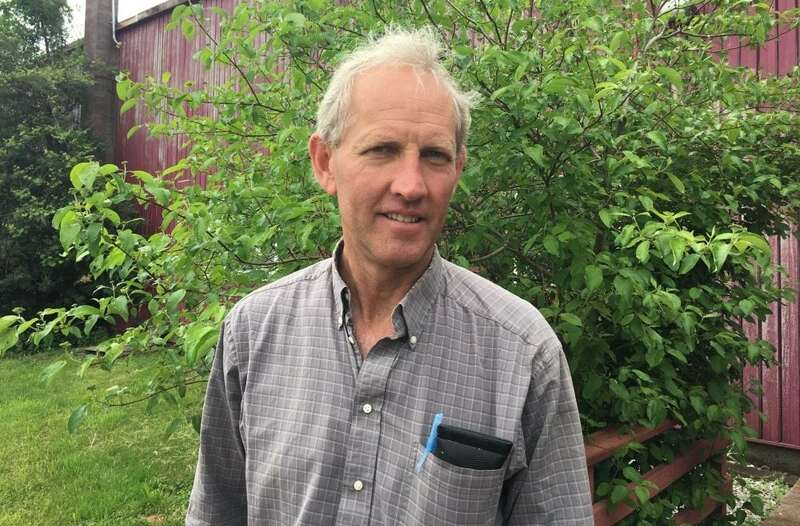 He says he’s always on the lookout for innovations, and over the past 10 years has been adapting his farming to climate change. Like people, cows don’t like hot and humid days. Their milk production decreases and continues to drop the hotter and more humid it gets. Davenport said that, for now, his barns have a natural breeze and fans to keep the air moving. “Once the heat index is over 100, though, despite all your best intentions, the cows are going to be uncomfortable,” he said.